I find this product one of the best floor cleaning products on the market. Quick and easy to use and absolutely perfect when your cleaning up after children! The smell is divine! You can never have to many! 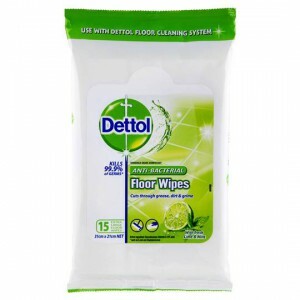 Extra Dettol floor wipe refills are a must, they have a great amount of wetness to clean a few rooms (unless the floor is super dirty) they smell great and leave the house or room cleaned feeling fresh. I absolutely love this! I not only use it on the floors but because i love the smell of it I also use it for cleaning the benches and finger prints off the walls! The cloths are strong and large which is great! How would you rate Dettol Floor Cleaner System Refill?